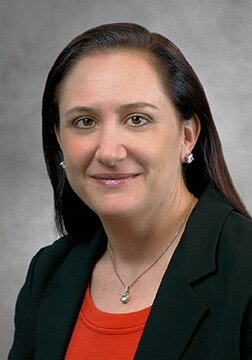 Maria N. Vernace, formerly with Shutts & Bowen LLP and Tew Cardenas LLP, and formerly of counsel with Keller Landsberg PA is now a partner of our Florida law firm, and regularly provides consultation in the firm’s various cases. She has defended insurers in coverage disputes, bad faith actions, and class actions in both State and Federal courts. She is also experienced in general business litigation. Ms. Vernace received degrees from Smith College, B.A., and Nova Southeastern University, Shepard Broad Law Center, J.D. She is admitted to the Florida Bar, 2004, District of Columbia, 2006, United States Court of Appeals for the Eleventh Circuit, and the U.S. District Court for the Southern, Middle and Northern Districts of Florida. Her publications include: Effectively Resolving Disputes (Co-Author), NBI Seminar May 2006; Avoid Complications When Filing Lien Claims or Notices (Co-Author), NBI Seminar Feb. 2006; and E-Mailing Service of Process: It’s a Shoe in! 36 UWLA L. Rev. 274.